Exercising regularly and consistently can be a challenge. It’s easy to find excuses not to exercise. But while a regular exercise routine can feel challenging, there are ways to accomplish it! Becoming aware of what you can do to stay active will make your challenge seem less overwhelming than before. 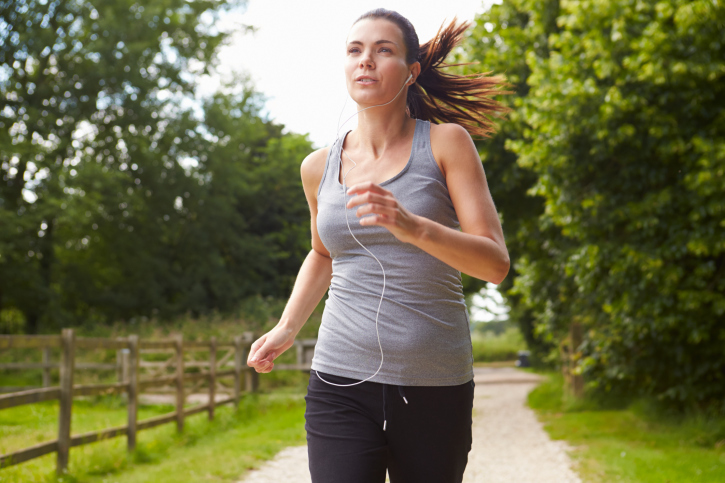 Check out the tips below to help you overcome common barriers to exercise! The Excuse: I have no time. I’m too busy to exercise. The Solution: Everyone is busy, but that’s no excuse not to exercise! Squeeze in smaller exercise sessions a few times a day if you’re able to exercise all at once. For example, you could do three 10-minute sessions. Go for a short power walk, light jog, or try a set of crunches. Fit in exercise where you can! You can even turn everyday activities into exercise. The Excuse: It hurts to exercise. The Solution: Always talk to your doctor prior to beginning exercise, especially if you have chronic pain, a medical condition which inhibits exercise, or an old injury. He/she may be able to offer you examples of exercises or suggest physical therapy to get you started. Moreover, you don’t have to push your body to its limits to get an effective workout. In fact, pushing yourself too hard can be counterproductive to your exercise goals. If you feel any pain or discomfort, slow down or take a rest. The Excuse: I can’t afford a gym. Focus on strength exercises that use your own body weight. Go for a walk or jog outside. Use exercise videos, resistance bands, jump ropes or even household items like water bottles, which can all be helpful as you work out. Check out our workout of the week blog posts for at-home exercise ideas. Also, if you’re a Health Advocate member with access to our Wellness Program, visit your wellness website to find out how you can get a discounted gym membership. The Excuse: I don’t know where to start. The Solution: Getting started with exercise can seem like a challenge, especially if you haven’t worked out in a while. Start with shorter workouts to allow your body to adjust to the change in activity. When you feel you’re ready, you can always increase the amount of time or number of days that you exercise. Find more tips to get started with exercise here. The Excuse: I don’t have a problem starting, but I have a problem maintaining. The Solution: Maintaining healthy changes can sometimes be more challenging than getting started. The key is to always keep setting goals. Setting goals helps to both continue your momentum and your enthusiasm. For more ways to stay motivated to exercise, click here. If you’re a Health Advocate member with access to wellness coaching through your Wellness Program, call us today to connect with a Wellness Coach for more exercise guidance and fitness tips!